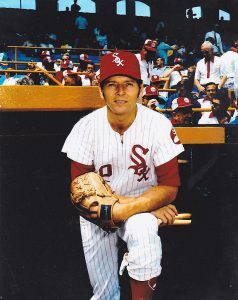 I’m heading to New Comiskey this evening on the 49th anniversary of Joel “Joe” Horlen’s Chicago White Sox no-hitter. Sure, the new Comiskey is now called U.S. Cellular Field and will soon be branded Guaranteed Rate Field, but since it’s built next door to the historic park, I’d rather consider it New Comiskey as I watch the Chisox take on the Kansas City Royals. It was 49 years ago today, during the first game of a Sunday doubleheader at the old Comiskey Park, that Horlen no-hit the Detroit Tigers for a 6-0 win. Hoping that James Shields can duplicate the feat tonight. Also throwing a no-hitter on this date is the Cleveland Indians’ Ray Caldwell, who no-hit the New York Yankees on September 10, 1919, during the first game of a Wednesday doubleheader for a 3-0 win at the Polo Grounds.